July 2 is the 183rd day of the year, there are 182 days remaining until the end of the year. This day is the midpoint of a common year. 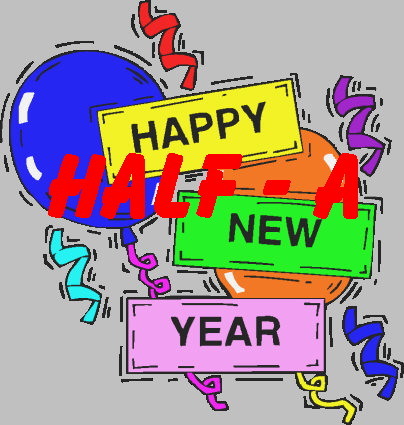 So have a Happy Coming Half New Year…. 🙂 🙂 that’s an awesome idea… yes! !